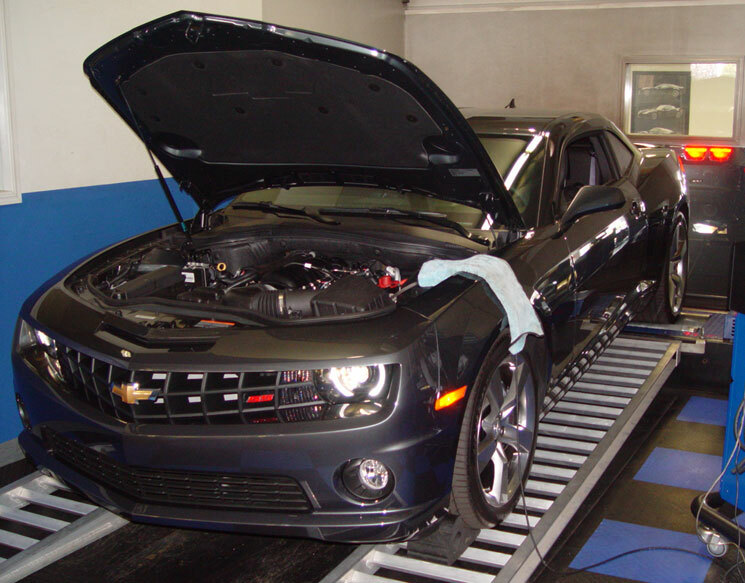 This 2010 Chevy Camaro SS Recieved Our Stage 3 Performance Package. This 2010 Camaro came in because the owner wasn't happy with the lack of power from the stock LS3. We tossed in our LS3 Stage 3 performance kit; K&N Cold Air Kit, Hand Ported Intake Manifold, Taylor Wires, NGK Plugs, Ported Throttle Body, Cooler Thermostat, Long Tube Headers, High Flow Catalytic Converters, X Pipe, Baseline Dyno & Custom Tune. As you might imagine, this Camaro is running much more efficiently and producing close to 60 horsepower more than stock!